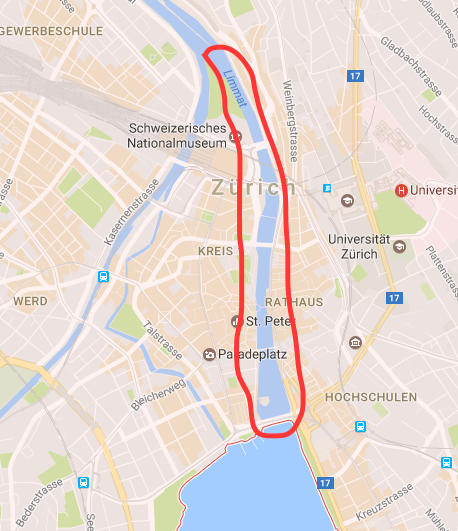 Zurich offers plenty of possibilities for Packrafting folks – therefore, I’m still wondering why there is no commercial offering for packrafting trips in (and around) Zurich. Perhaps this is something the Zurich Tourism Office will pick up in the future? Recently, we were enjoying the evening sun on the Zurich lake in our packrafts before heading down the Limmat towards Dietikon. This is an easy trip which basically requires basic paddling skills only. Solely the transport ferries represent a risk to packrafting folks. Start: The Aboretum (close to the Seebad Enge) at the Zurich Lake offers a great possibility to enter the lake. 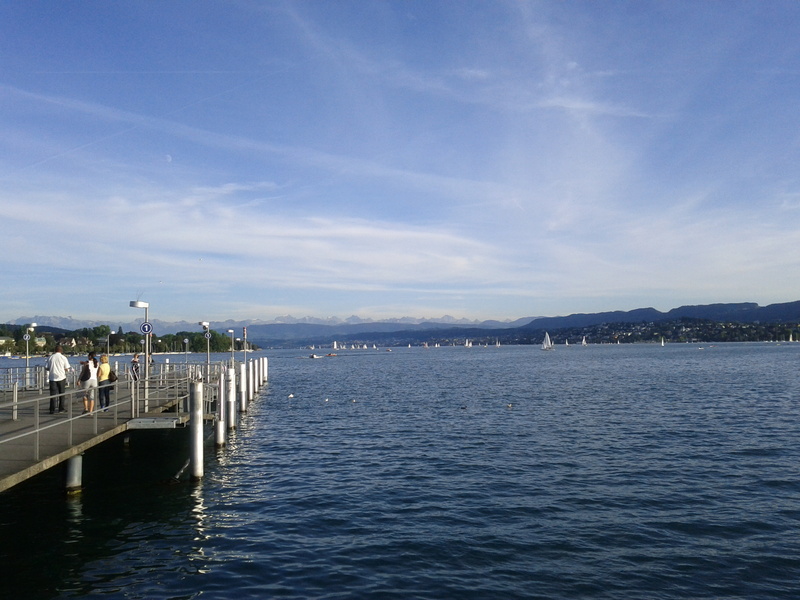 You should explore the lake a little bit before going down the Limmat – crossing the lake towards the Opernhaus or heading down South along the coast is highly recommended. The great thing is: Whenever you want to quit, you can jump on the public transport and get back to the city center. Caution: Be aware of the public transport on the upper part of the Limmat (and of course on the lake as well) – there are frequent ferries using this part of the river as part of the Zurich public transport system. In the map below, you can find this area marked as red. Hence, you need to call the water police before you enter this part of the river. Find the contact details here. A simple call to let them know is sufficient. 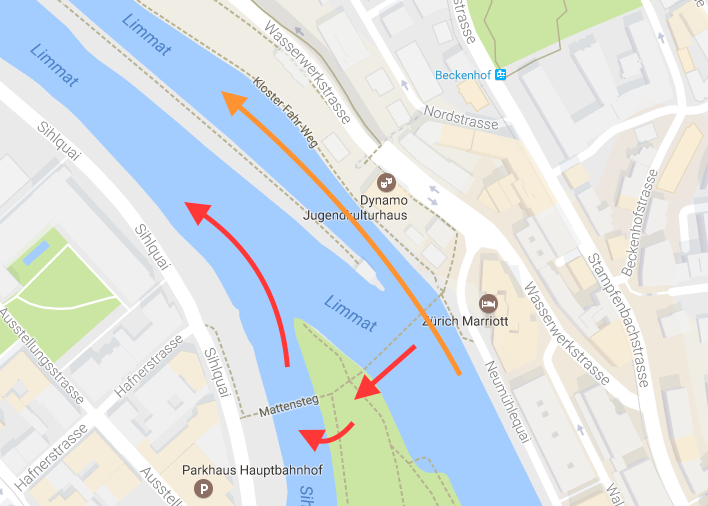 There will be additional barrages you need to cross depending on how far you intend to go down the Limmat. In the previous years we already went down the Limmat until it merges with the Aare River near the town of Gebenstdorf. From there you can even continue until you reach the Rhine River. While the Limmat in the beginning will pretty much do the job you will need to use your muscle power the further you get down the Limmat. In some sections the river will take you – but mostly it will be your job. In case you have no other plans on a sunny summer evening, get your raft and get on the lake / river – it’s worth it.